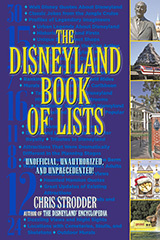 Part 1 of this 2-part article had the first 16 items from “33 Remaining Signs and Structures from Disneyland’s Past,” a list in Chris Strodder’s enjoyable new book, The Disneyland Book of Lists. 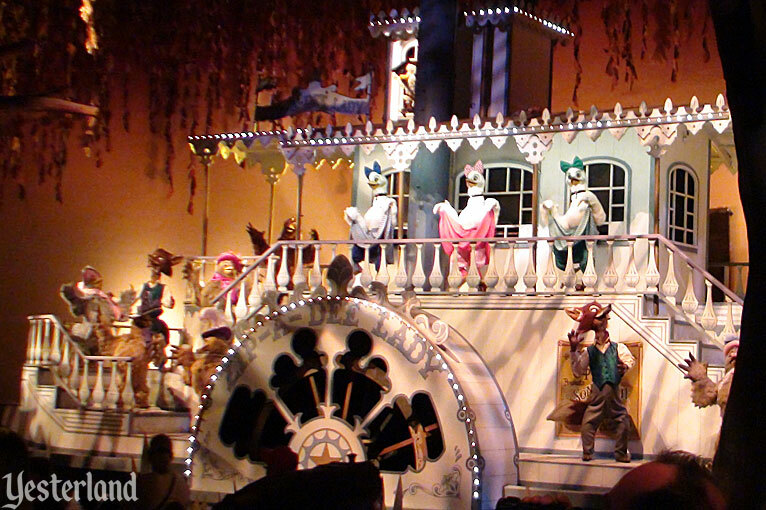 Part 2 continues with more remnants of the past, tributes by Disney’s Imagineers, and examples of creative recycling. Once again, the research and text are from Chris Strodder. I added color photos for this online version. In recent years, these locations have reminded guests of things that used to be in Disneyland. 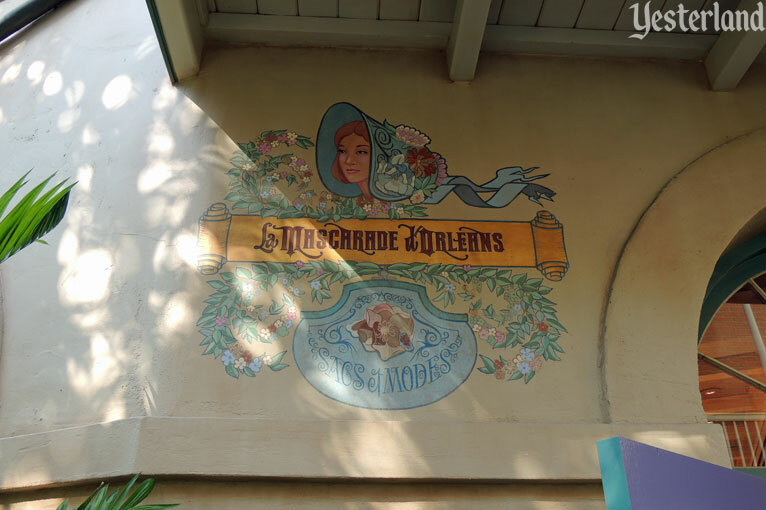 La Mascarade d’Orleans: The “Sacs et Mode” text on an exterior mural identifies a shop—Marché aux Fleurs, Sacs et Mode—that was here from the mid-1970s to the mid-1980s. 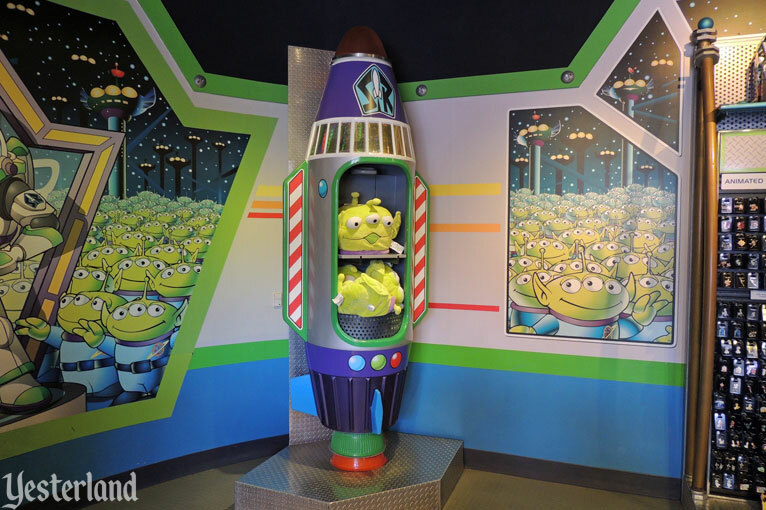 Little Green Men Store Command: Several of the vertical display cases are repainted rockets formerly used in Tomorrowland’s Rocket Jets attraction (1967–1997). 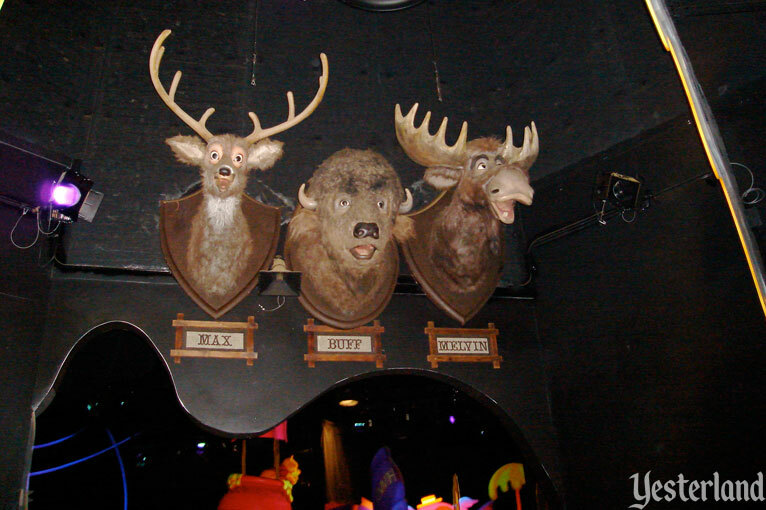 Many Adventures of Winnie the Pooh: The heads of Max the deer, Melvin the moose, and Buff the buffalo, performers in the old Country Bear Jamboree/Country Bear Playhouse (1972–2001), are mounted on a darkened wall just past the Woozles inside today’s Winnie the Pooh attraction. These particular heads were originally in the Mile Long Bar. 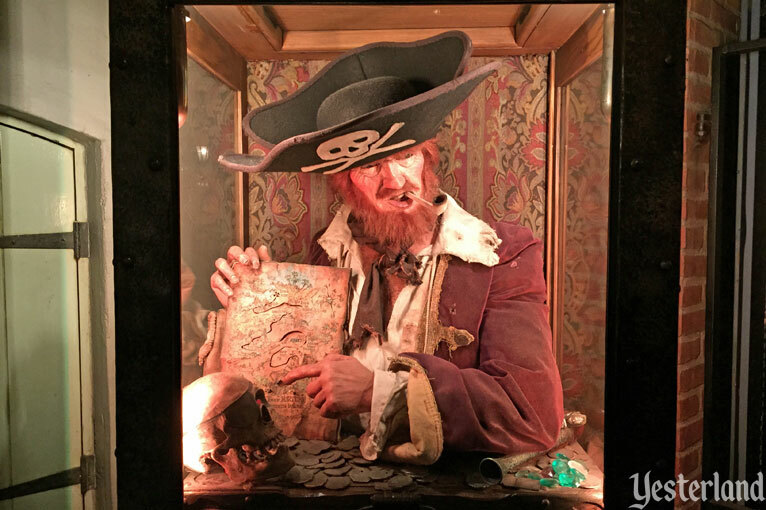 Pieces of Eight: Fortune Red, the fortune-telling arcade machine just outside today’s Pieces of Eight, is a hold-over from the Pirate’s Arcade Museum that was here from 1967–1980. 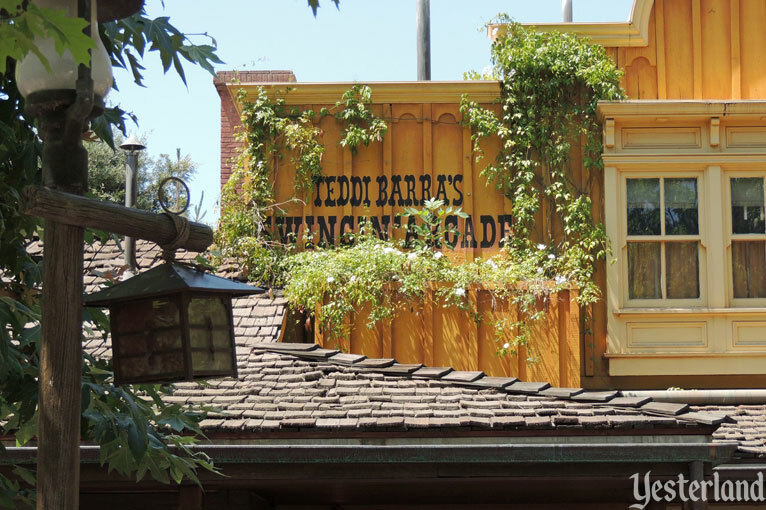 Pooh Corner: Painted on an exterior second-story wall are the words “Teddi Barra’s Swingin’ Arcade,” naming a former attraction located in this building from 1972 to 2002. 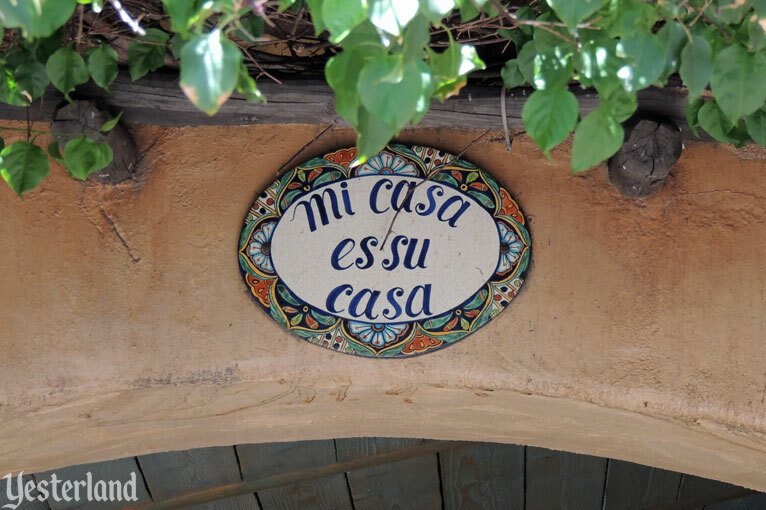 Rancho del Zocalo Restaurante: The “mi casa es su casa” sign at the front of this Frontierland restaurant honors Casa Mexicana, a popular restaurant located here until 2001. 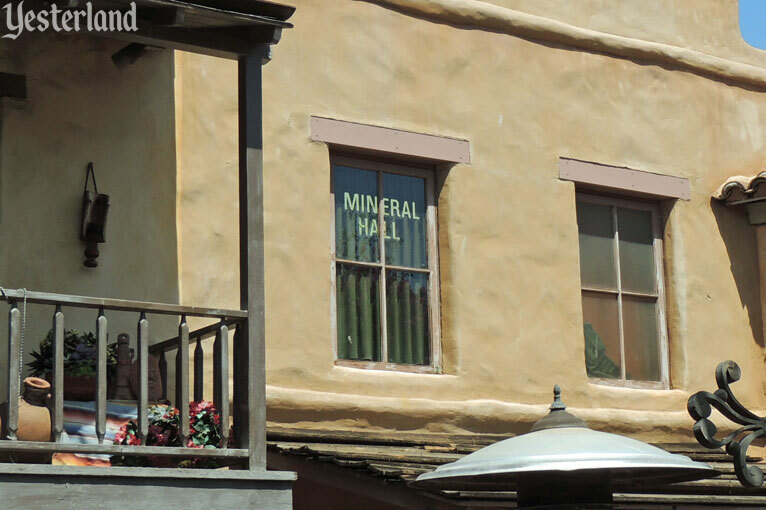 Rancho del Zocalo Restaurante: A window behind this restaurant identifies a fondly remembered store and exhibit space called the Mineral Hall (1956–1962). 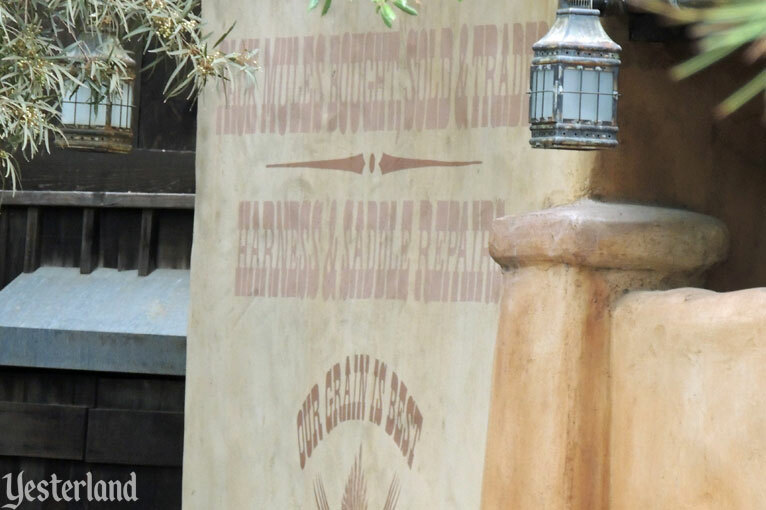 Rancho del Zocalo Restaurante: One wall by the Big Thunder Mountain Railroad tracks is painted with text announcing “Pack Mules Bought, Sold & Traded”—a reference to an extinct attraction once based in this location. 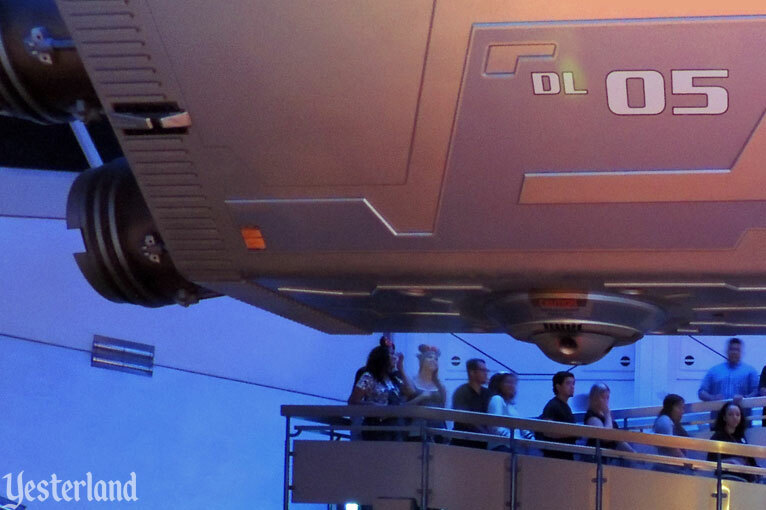 Space Mountain: “DL 05”—presumably a reference to Disneyland’s fiftieth anniversary in 2005 (and the year of a huge update to Space Mountain)—is painted on both sides of the queue area’s giant spaceship. Splash Mountain: Many of the Audio-Animatronic animals in this attraction first appeared in America Sings, a Tomorrowland musical extravaganza from 1974 to 1988. 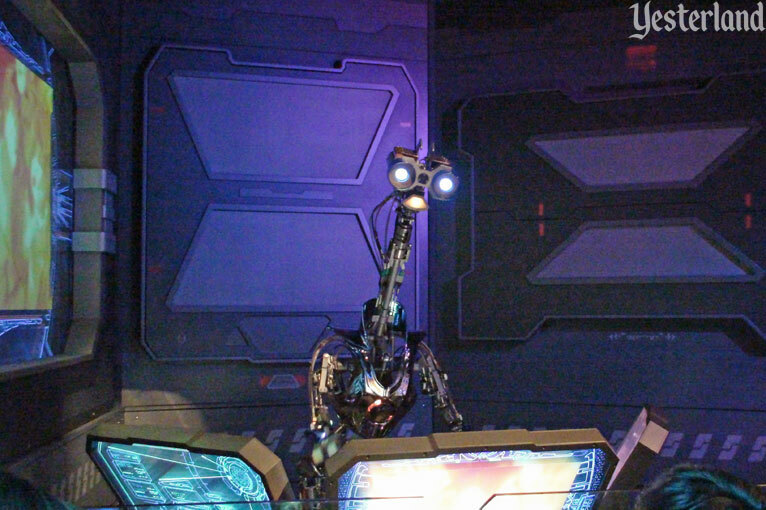 Star Tours: Armatures of several robotic geese from America Sings were transformed into high-tech droids for the queue leading into Star Tours. 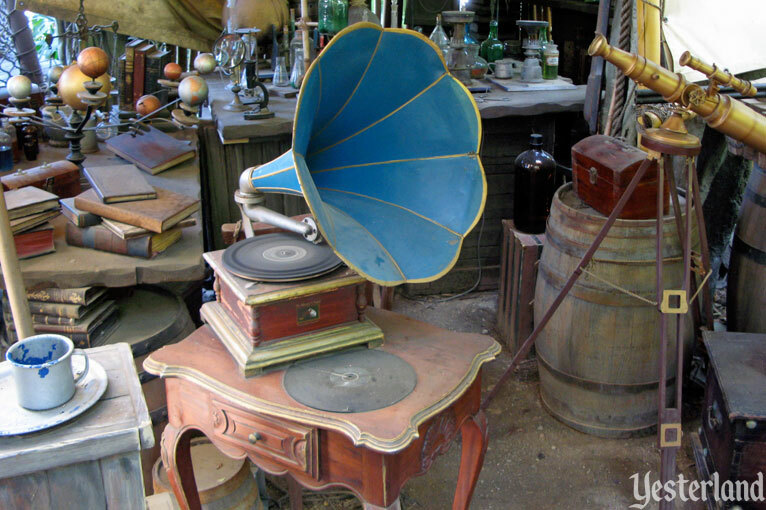 Tarzan’s Treehouse: A gramophone plays the “Swisskapolka” song used in the Swiss Family Robinson movie and the Swiss Family Treehouse (1962–1999). 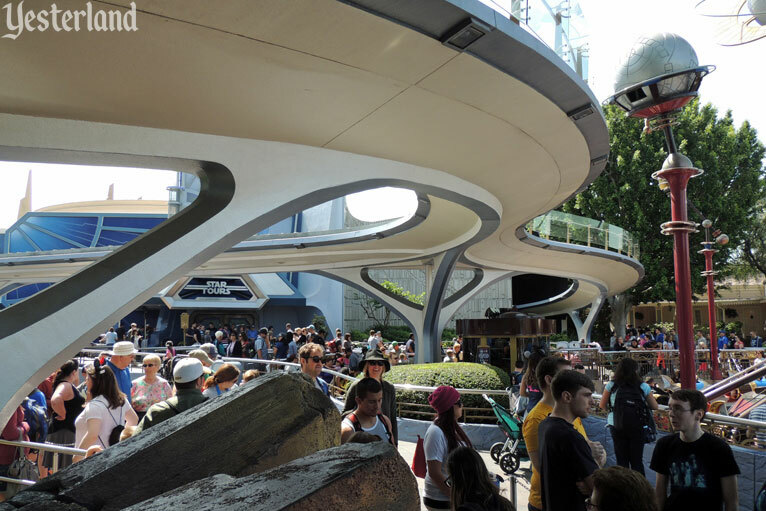 Tomorrowland: A stark reminder of a beloved attraction, the unused track of the classic PeopleMover (1967–1995) still weaves through Tomorrowland. 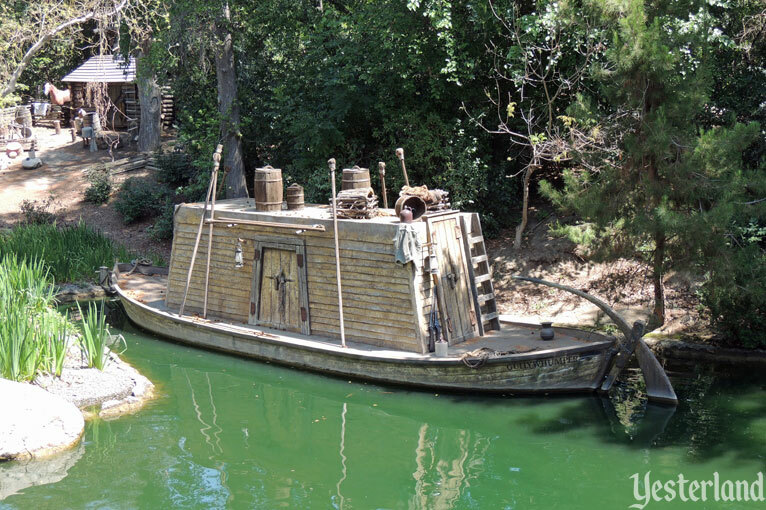 Tom Sawyer Island: Parked at the north end of the island since 2010 is a leftover boat from the Mike Fink Keel Boats attraction (1955–1997), reworked to look more like a historical keel boat. 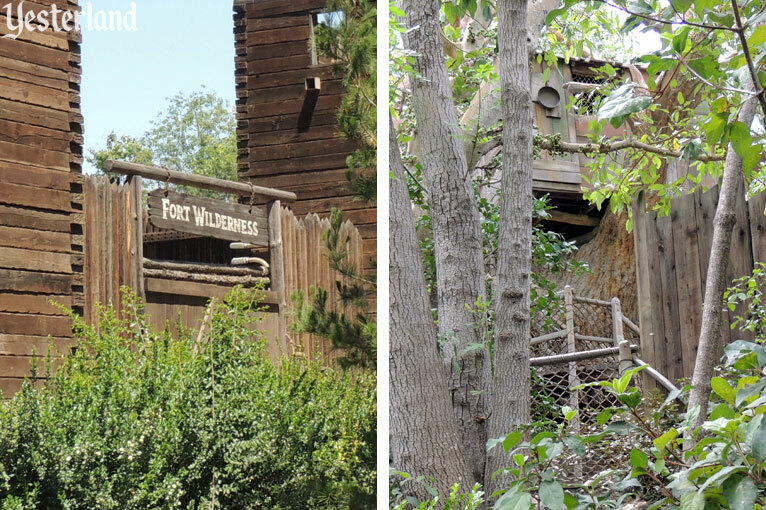 Tom Sawyer Island: Still standing on the island are two conspicuous structures that guests used to explore—a rebuilt Fort Wilderness (closed to guests for over a decade) and Tom & Huck’s Treehouse (sealed off since 2013, ostensibly for safety concerns). 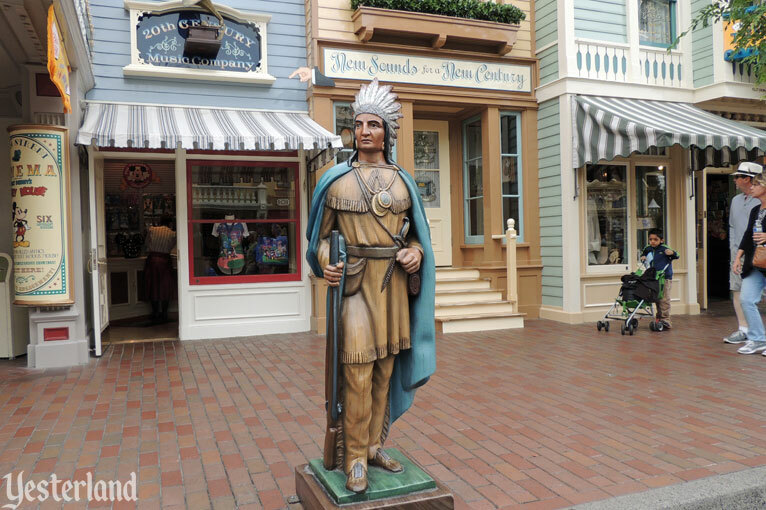 20th Century Music Company: A traditional cigar-store Indian has been standing in front of this shop since it was called Fine Tobacco (1955–1990). 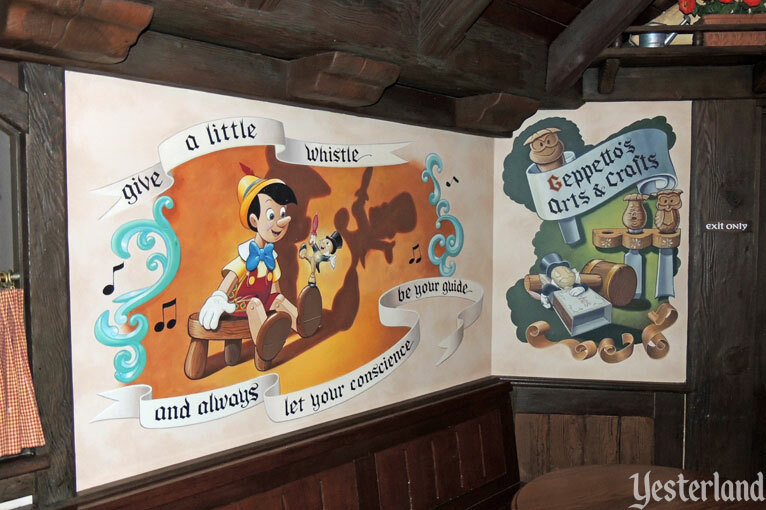 Village Haus: A Geppetto mural inside this Fantasyland restaurant recognizes Geppetto’s Arts & Crafts, an extinct shop from the 1980s. Chris Strodder is the author of The Disneyland Encyclopedia, which was named a “Best Reference Book” by Library Journal. His other works include the pop culture compendiums The Encyclopedia of Sixties Cool and Swingin’ Chicks of the ’60s. Strodder has also written the children’s book A Sky for Henry, the adventure story for young adults Lockerboy, the comic novel The Wish Book, the Stories Light and Dark collection of short fiction, and articles for various periodicals, including Los Angeles and California magazines. Strodder first visited Disneyland in 1966 and has been collecting Disneyland souvenirs and ephemera ever since. He lives in the green hills of Mill Valley, California. The Disneyland Book of Lists is available from Amazon (paperback and Kindle), Barnes & Noble (paperback and Nook), and other major outlets. To order from Amazon, please use the links below.